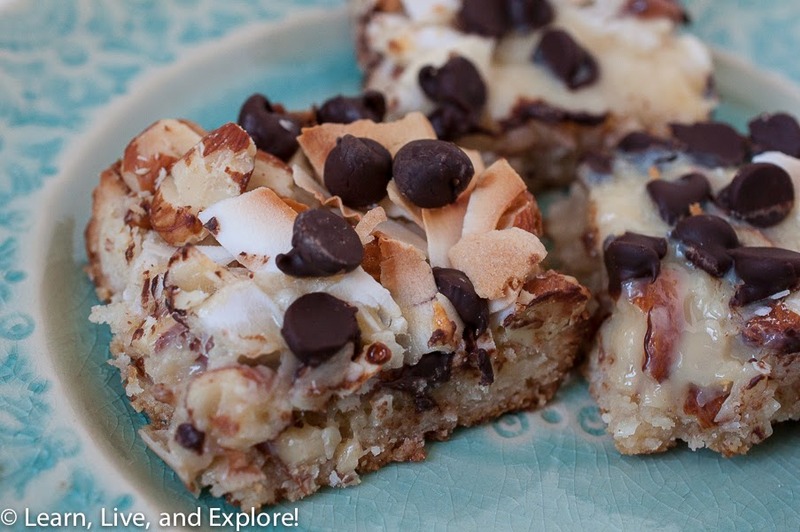 Gluten Free Chocolate Coconut Almond Bars ~ Learn, Live, and Explore! I don't know why I think of coconut when I think of Spring. Maybe it's a teaser for the warmth of summer or the joy of a tropical beach? 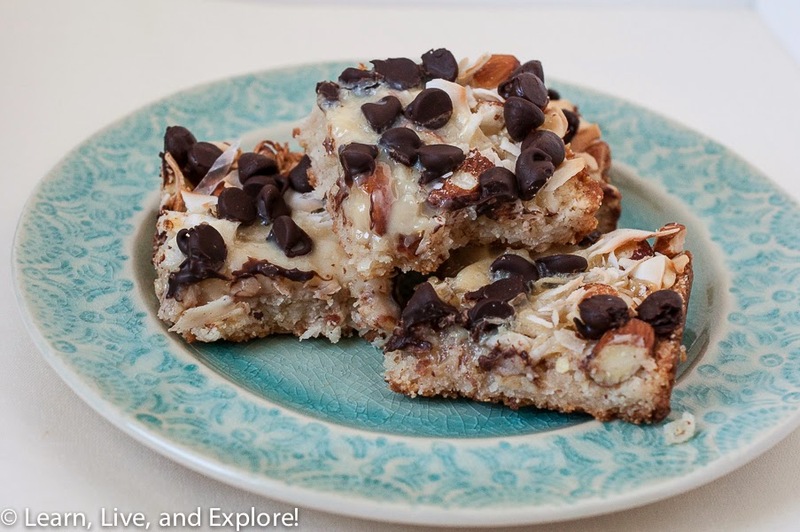 I saw these coconut almond bars on a great Austin-based lifestyles blog I follow, Camille Styles. You should check the site out when you get a free moment. I had been searching for a play off of traditional macaroons to satiate my coconut craving, and with my recent success with the salted caramel peanut nougat bars in March, I've kind of been on a bar kick - not the alcoholic kind, the sugary and yummy kind! I liked these bars because they are refrigerated, so you can keep them around longer or easily freeze for an upcoming event. Also, for the gluten conscious, this recipe calls for almond flour, so eat away without worries! Of course, it's definitely not sugar free!